PALMDALE, CALIF. – September 6, 2018 - Delta Scientific, the leading manufacturer of counter-terrorist vehicle control systems used in the United States and internationally, today announced that, in a review of its top selling products to the government, the United States Department of Homeland Security (DHS) has provided certification according to the Support Anti-terrorism by Fostering Effective Technology Act (SAFETY Act) of 2002. This certification minimizes insurance risks for organizations that deploy authorized Delta vehicle access control products to protect against terrorists and errant drivers. All products certified are covered retroactively back to 1984 and are now authorized to carry the SAFETY Act Designated mark. "By minimizing insurance risks to deploying authorized Delta vehicle access systems, this certification lets customers feel comfortable knowing that they have the full faith and backing of the Department of Homeland Security," emphasizes Keith Bobrosky, Delta Scientific senior vice president. "As the only manufacturer having such certification for wedge barriers, beam barriers and crash gates, this announcement should encourage commercial organizations to more fully explore using such life-saving products in their anti-terrorist and safety vehicle access solutions." 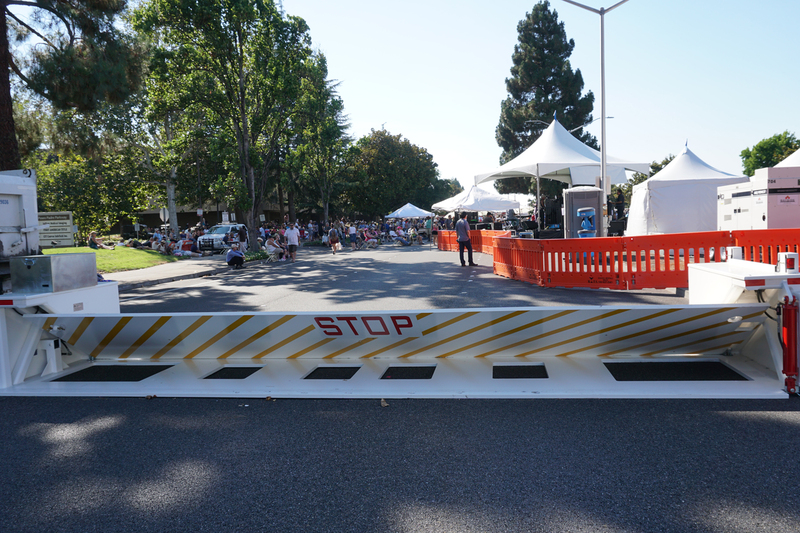 Delta certified products include the DSC501, DSC2000 and HD300 wedge barriers; MP5000 portable wedge barrier; DSC720-1M and DSC800 deep foundation bollards; DSC1200 surface mounted barrier; DSC7000 beam barrier; DSC600 and DSC650 shallow foundation fixed bollards and DSC288 crash gate. To illustrate the dependability of these products, the HD300 barrier stops a 15,000 pound (66.7 Km) vehicle traveling 50 mph (80 kpm) and has a demonstrated ability for continuous operation of 1 million cycles in independent test lab testing that took place over 14 months in an outdoor setting while exposed to full sunlight and the effects of climatic conditions. To pass review, each product had to demonstrate prior U.S. government use with substantial utility and effectiveness, provide immediate deployment, show that it would create risk to the public if the technology is not deployed, demonstrate effectiveness of the technology in defending against acts of terrorism and obtain determinations made by federal, state or local officials that the technology is appropriate for preventing, detecting, identifying or deterring acts of terrorism or limiting the harm that such acts might otherwise cause.